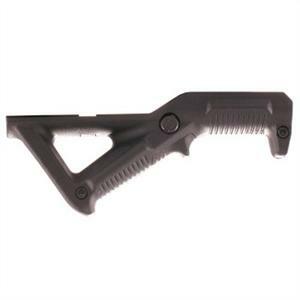 Low-profile forward grip/hand stop takes advantage of natural body mechanics to give the shooter more precise control, faster pointing, and less operator fatigue. 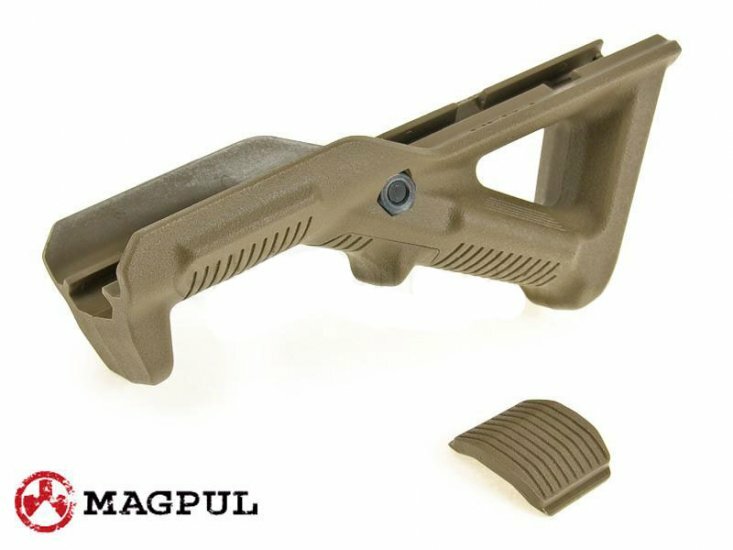 The Magpul AFG™ (Angled Fore-Grip) positions the support hand close to the centerline of the bore for maximum recoil control to aid in fast, accurate follow-up shots. 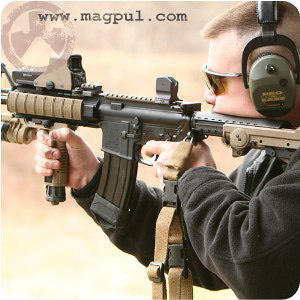 Provides a consistent reference point for finding the correct hand position quickly when mounting the weapon under stress. The natural, ergonomic hand position with the palm facing up results in better blood flow than the “clenched fist” stance often used with vertical grips that leads to fatigue and loss of sensation during long periods in the ready position. 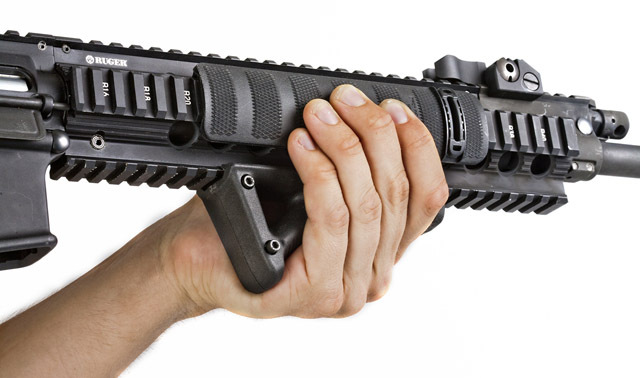 Improves on the “thumb break” hold often used with standard vertical grips by allowing the thumb to rest comfortably alongside the top rail, pointing forward, with the rest of the hand in full contact with the forend. Heavy-duty reinforced molded polymer construction stands up to the hard knocks of tactical operations, and deep, molded-in grooves help you maintain a firm grip even with wet hands. Slides over any Picatinny-style rail and locks securely in place with a hardened steel crossbolt. 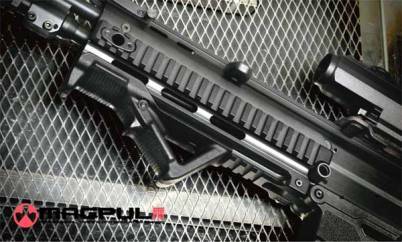 The AFG may be installed on tactical shotguns and other rifles with railed forends; won’t interfere with insertion and removal of magazines on AK-47s.